Finally here is the Xposed Framework for Nougat Android devices, but the sad thing is original developer Rovo89 did not make it. A Un-Official Build by Team PurifyOS with the help of @ABForce. So many Websites were posting the fake guides to Install Xposed Framework on Nougat devices if you follow those guides you will brick your device insanely. 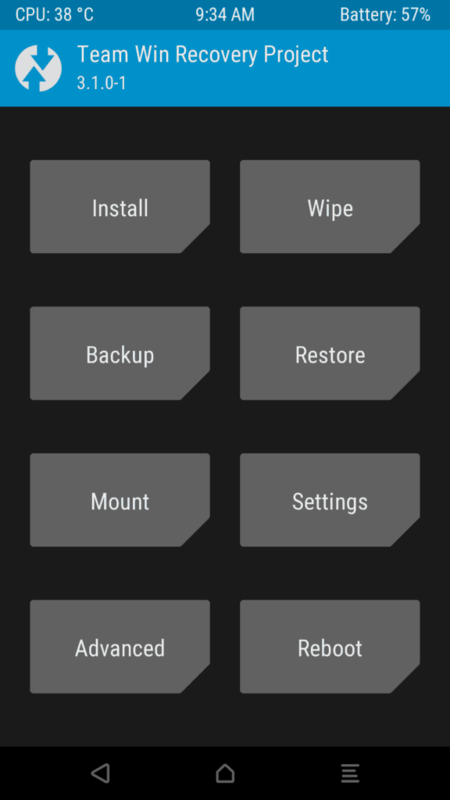 Anyway, guys, this is the unofficial package from the Purify team working Perfectly on the most of the AOSP ROMS. 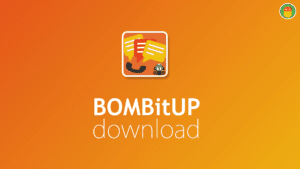 Every rooted android device user has this Awesome app to customise the android deeply from the roots. I am one of them who were waiting for Xposed for Nougat. I am addicted to the Xposed Modules That is why I am still using Android 6.0. Official Build comes out very soon as Rovo89 said and they are working very hard to bring that. It’s been almost a year without Xposed on Nougat and still developing. 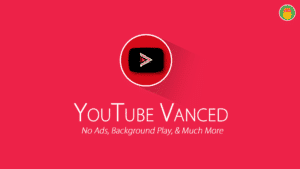 At First, we all need to say thanks to the developers of the XDA forums they are very talented to bring such kind of mods. Now, you can able to flash the Xposed Framework Zip file. According to the XDA post, so many users reported that the Xposed framework is working on their devices. 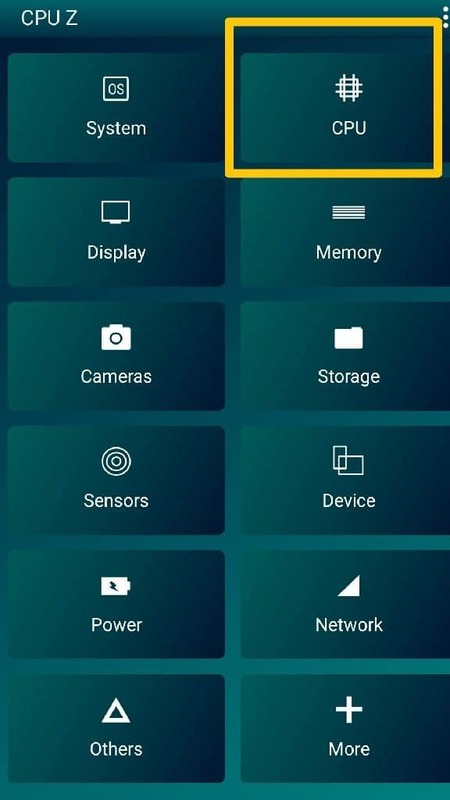 The PurifyOS team tested this Unofficial Build on Oneplus 3T with Oxygen OS based on Android 7.1 and also Some users tested this on Oneplus5 and Galaxy S6 which is running AOSP based ROM. According to the Beebom, they have tested this Build on some of the devices which are running on the Android 7.x. Those are Moto G3 running on ViperOS (Android 7.1.2) and Moto X Play running on AOSP Extended (Android 7.1.2). Without any doubt, absolutely this will work on the AOSP/lineage based ROMs. 2.2 How to download and Activate Modules. 3 Nougat Xposed working on Samsung, Sony, LG, and MIUI? Yep, you heard it right! Officially Announced the Xposed-framework for Nougat devices by the master of this fantastic mod (rovo89). 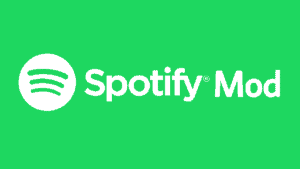 So, this is the Stable version if you are waiting for this official update. Even Rovo89 updated the framework version to v88.1 for better Samsung support and fewer Bootloops. 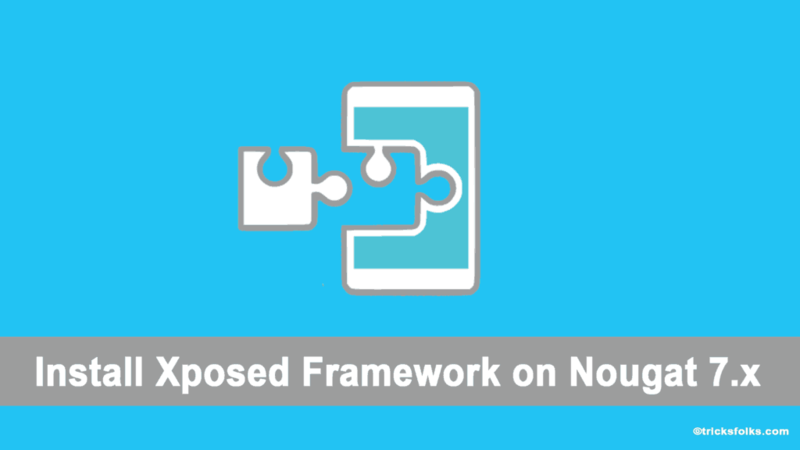 Without any further ado let’s look into how to install xposed framework steps. 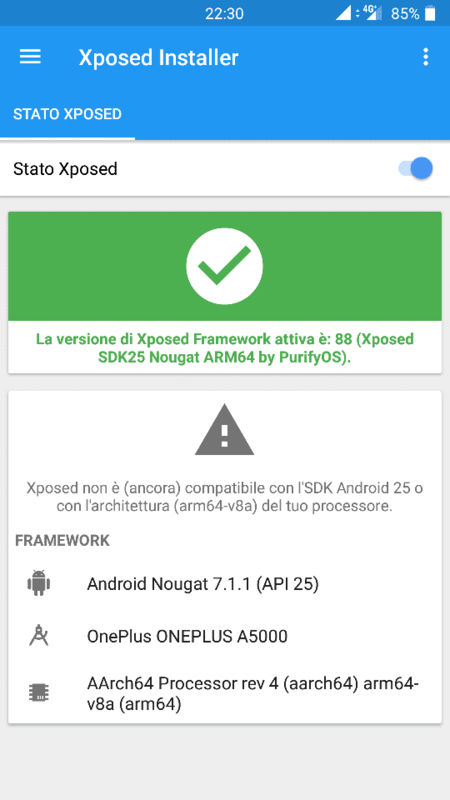 Xposed Framework Un-Official Build by PurifyOS team download below by considering Device CPU Architecture. 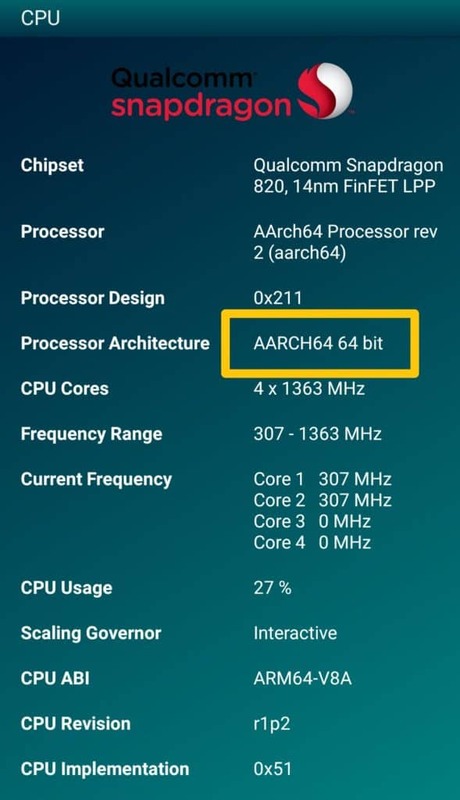 As of now, Xposed SDK25 and SDK24 are available for this Cpu architectures are an ARM, ARM64, and X86. You need to know that what architecture your CPU having and proceed to further to Install Xposed framework. At first Check, your CPU architecture by downloading CPU Z app from the PlayStore. Open the app and click on CPU. You can refer the below screenshot. Now you can see the CPU architecture. 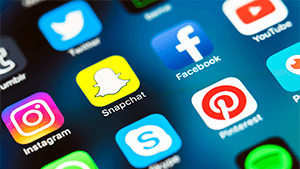 After Confirming your Chipset Architecture Download the Xposed Framework SDK25 and SDK24 flashable zip file from below links. 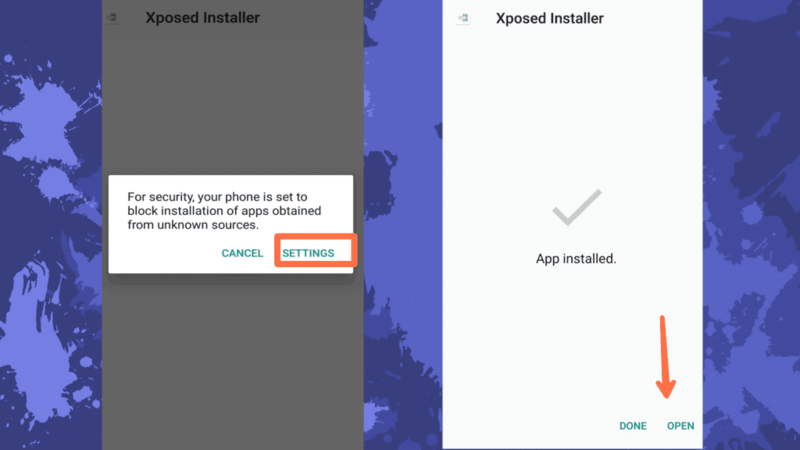 Note: – If there is a problem happens with your device after installing the Xposed Framework then you need to Uninstall it by Flashing the Uninstaller zip. Download the Flashable Zips according to the Processor from the respective section. Ok, Now download the Xposed Installer Apk from Here and Install it. In case a popup appears like this below Screenshot. So, you need to enable the “Unknown Sources” in the Setting. After Installing Xposed Installer Apk. Now, time to flash the Xposed framework zip file which you have downloaded from the Download section according to the Processor. Select the Flashable Zip file from the directory where you have stored. Once it was done, then do wipe Cache/Dalvik, That’s it after that reboot your device. Open the Xposed Installer APP, and you can see the Xposed framework is active. Select the Uninstaller file from the storage. Swipe to confirm flash button. It will Uninstall the Xposed Framework. That’s it. How to download and Activate Modules. 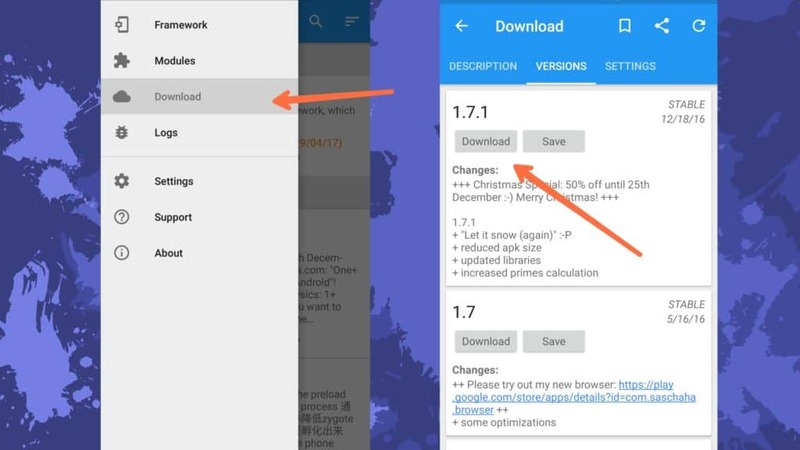 You can see the Download option by dragging the menu from Left to right. Now you can download or save the modules from the page. Note: Some modules don’t work because it was Unofficial build and If download button not works then click on save button and Install the apk manually. Now, drag the menu and choose Modules Section. Tick mark the Module and Reboot the device to activate it. Currently, ErnyTech working on the Systemless Xposed framework for Xposed Nougat. You can download and experience the taste of Magisk module from here. Before you go through this, you must have an idea on how to recover my phone when it got bricked. As of now it was bit buggy So wait for Stable version. 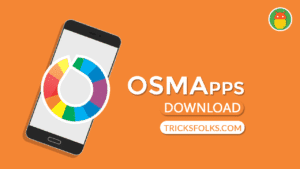 Update:- Even official Xposed magisk Modules is available for download. It is posted by the Topjohnwu master of the magisk root. 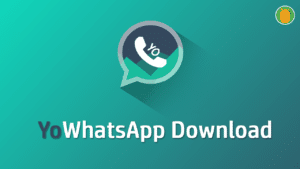 Install this version for installing systemless xposed. For LG users this may work properly. Better to download uninstaller file along with the installer zip. This would be helpful when you get into boot loop. If you feel this Information was helpful, then share this post with your friends and help us to grow. 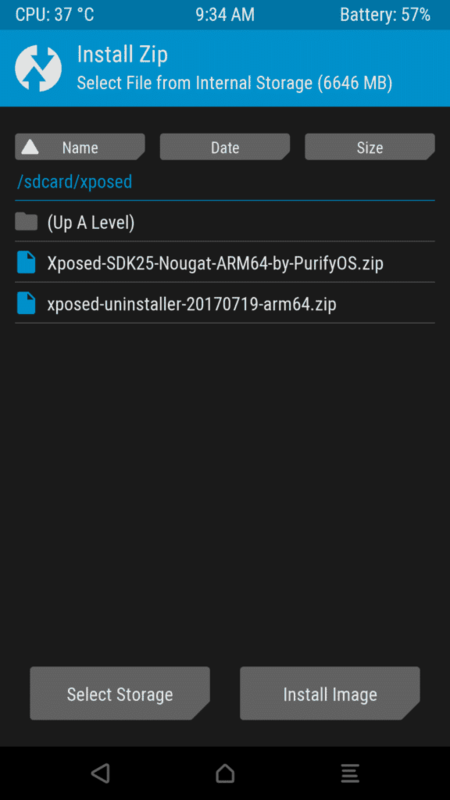 Xposed Installer APK takes me to XDA-developers which in return says invalid attachment. Thanks for the informing bro.. i will update it with mirror link.